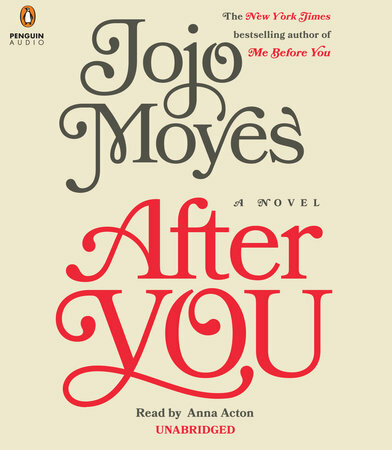 In After You, Jojo Moyes takes us back into Lou's world just weeks after losing Will. Here we see a completely different person from the quirky and lively girl we fell in love with in the first book. Lou is shattered (in more ways than one...), floating aimlessly through the days trying to make sense of what had happened. Her world has been turned upside down. One of my favourite aspects of Moyes' writing is character development. I absolutely adored Lou's character. Following her on this new journey as she works to come to terms with her loss and attempts to bring back a refreshed version of her old self was so captivating. The writer also brings back a few characters from her past to cheer her on and brings in a few new ones for the ride. This sequel is all about healing and the struggle of moving on. It's about learning how to pick up the shattered pieces and trying to make it whole again. It also brings about some new twists and turns you won't want to miss. 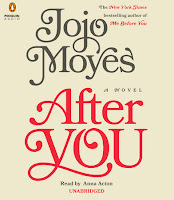 After You is just as engaging as its prequel. It won't leave you as broken the first book but it will still raise up a ton of emotions that you tried to suppress the first go round. All I can say is go grab your tissue box and get ready for another emotional rollercoaster as you re-enter Lou's world.